Tsukiji’s famous Tsukiji Fish Market has moved to Toyosu, but there’s still a thriving market at the old market site and it’s a fun half-day destination. 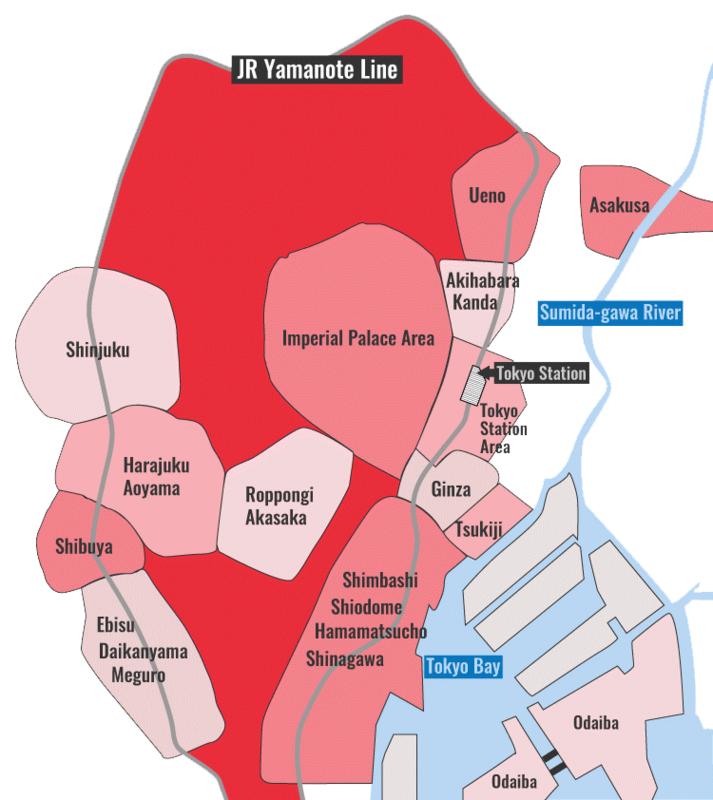 The world-famous Tsukiji Fish Market has moved to Toyosu and is now known as Toyosu Fish Market. See our Toyosu Fish Market guide for full details on the new market. 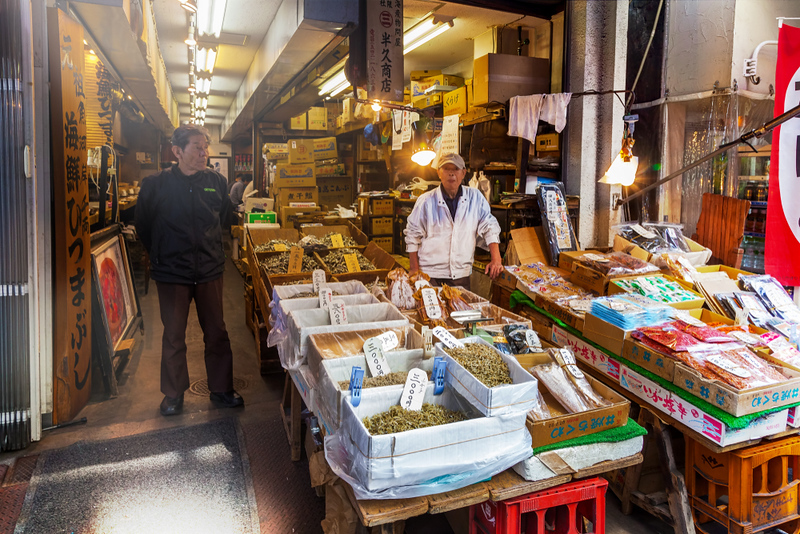 Now, there’s still a busy market at the site of the old fish market in Tsukiji. It’s mostly geared to tourists these days. It can be a lot of fun for a few hours, but it’s not a major Tokyo highlight. Tsukiji Fish Market has closed and moved and now operates as Toyosu Fish Market. See our Toyosu Fish Market guide for full details on the new market. There’s still a lot of action at the former fish market’s outer market section. There are shops selling all manner of cookware, some food items, and plenty of restaurants serving sushi and other kinds of Japanese food. This small Shinto shrine is located right outside the market on the northeast side. This is where fisherman pray for safety on the seas and vendors pray for good sales. It's worth a quick look. Eating a sushi breakfast or lunch is great after touring the market. The outer market area is filled with tiny sushi restaurants. Unfortunately, the market is so popular now with tourists that you usually have to wait on line. And, who really wants to put up with these crowds? I much prefer eating in the more relaxing (and often better) sushi places on the other side of Shin-Ohashi-dori (the big street on the north side of the market). This is a fine and relaxing place for a great sushi feast after a market tour. This is another place away from the madness of the market. I highly recommend it for your post-market meal. This small, tranquil sushi restaurant located a bit away from the crowds of the market is where I eat when I visit Tsukiji. It's not cheap, but it's excellent. Look for the gray and silver sign over the door (no English on the sign). If you insist on eating at the market, this popular spot is a good choice. There's some tiny English writing on the sign. Look for the picture of the guy picking up a fish. This is another choice if you want to eat inside the market. The sushi is good and it's usually packed. Somewhere between a capsule hotel and a budget business hotel, this is the cheapest place to stay in Tsukiji. In addition to all the fish, there are lots of stalls in the outer market that sell cooking ware and other food-related items. The prices are very cheap here and the selection is interesting. Have a look after exploring the fish market sections. There's also a small produce area.